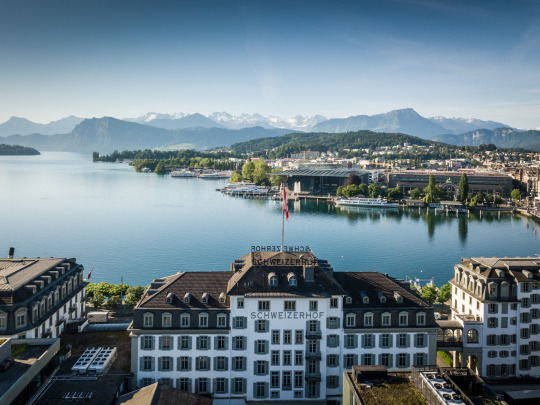 Start your new week relaxed and invigorated in our Hotel Schweizerhof Luzern! Enjoy your family holiday with all your loved ones! It is a Saturday evening in February 2004. 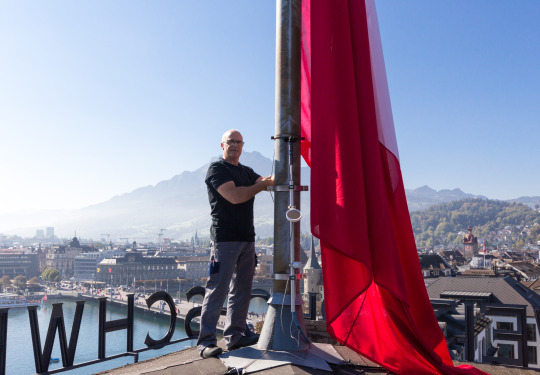 The people of Lucerne are celebrating their carnival, the largest of Central Switzerland's popular events. You are not overly enthusiastic about the idea of throwing on a costume and joining the merrymakers. Finally, though, your friends manage to convince you. «Go to the masked ball at the Schweizerhof – that's where you'll meet the man of your dreams,» says your aunt. Well all right, you say, you'll go. And then the impossible happens: there, in the carnival throng at the Schweizerhof, you meet your Andreas. He is wearing a dark blue roll-neck pullover and a blazer and simply having a drink at the bar. You speak together in English and joke that he has come as secret agent James Bond. In your subsequent early correspondence, you call each other «JJ» and «Bond». In the meantime, you have returned to Spain, while he lives in Lucerne. Many emails and a few dates later, you return for good to Switzerland; you travel to Argentina together, and before long you and Andy are living together. Five-and-a-half years pass. It is September 24, 2009. You and «James Bond» are still happily united – in fact, you are expecting your first child. 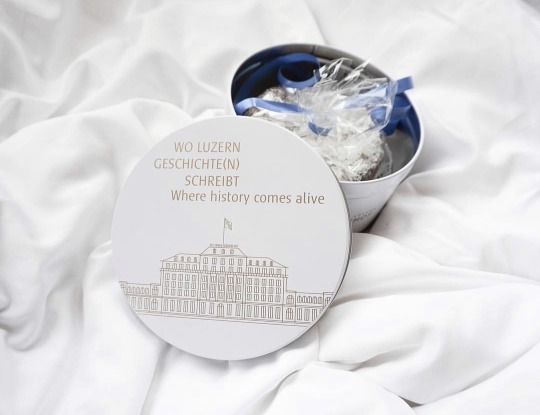 You have just moved into a suite at the Schweizerhof because tomorrow is your civil wedding day – what more appropriate place to stay than where it all began? You start the day of your wedding with a divine breakfast in the Schweizerhof dining room before making your way to the Town Hall for the civil ceremony. The aunt who prophesied your destiny is your witness. 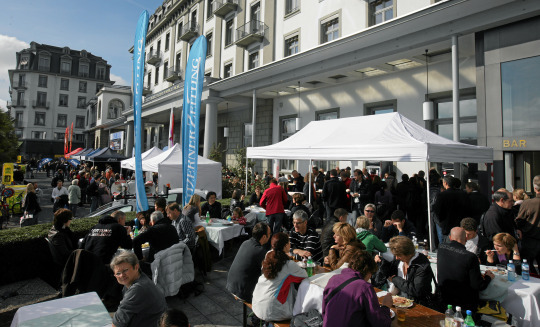 After the ceremony and drinks by the River Reuss, you return to the Schweizerhof for a festive lunch with a small number of invited guests. 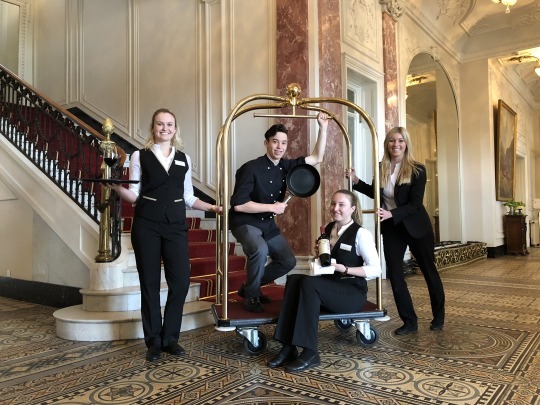 The evening is a different matter: you start with a large reception at the Herren zu Schützen guild house, followed by a wedding cake, more drinks and swinging piano music at the Schweizerhof Bar. Luckily for you, all you have to do after the party is get into the lift. The Schweizerhof retains a very special place in your heart. A place of encounter, staffed by warm, welcoming individuals. A genuine, vibrant five-star hotel – one in which you have spent many a happy hour, and in which, we hope, you will spend many more.